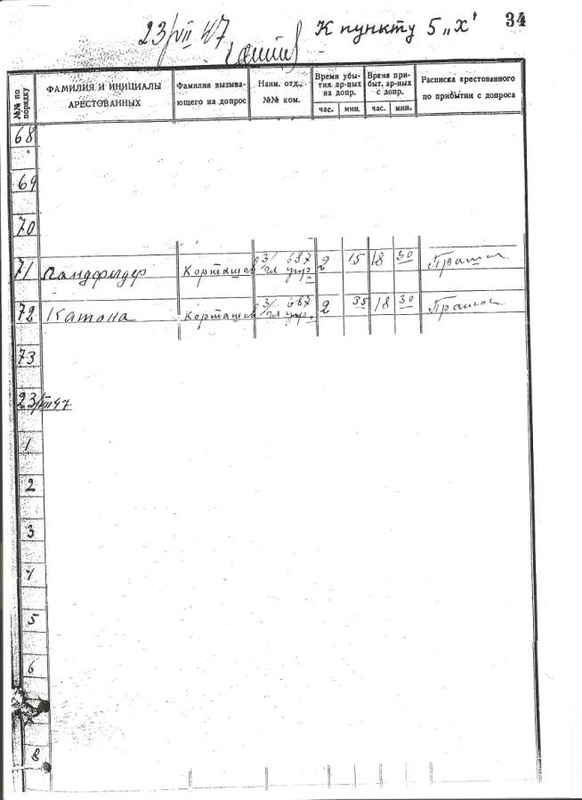 Page from Lubyanka Interrogation Register for July 23, 1947. 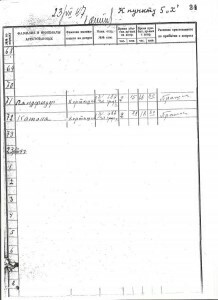 Entries show interrogations for Raoul Wallenberg’s driver, Vilmos Langfelder, and Langfelder’s presumed cellmate, Sandor Katona. In spite of our many requests to the Russian side to provide full page copies, other entries remained obscured. For this reason, it was not known until now that an unknown « Prisoner Nr. 7 » was also interrogated on the same date, by the same interrogator (S. Kartashov), during the same time period. « Prisoner Nr. 7 » remains unidentified, but archivists from FSB have now stated that it was with « high likelihood » Raoul Wallenberg. It should be pointed out that neither Langfelder nor Katona signed the registration book after the end of their interrogations. Instead, the book simply carries the term « proshel » (‘has gone through’). We have requested a full page copy of this page. Russian officials have stated that the entry for ‘Prisoner Nr. 7’ also is signed « proshel ».